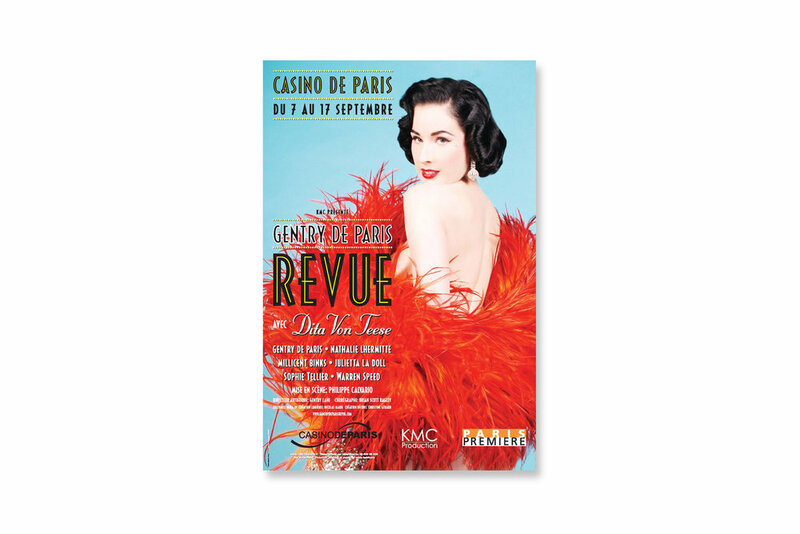 To open its new season, the Casino de Paris renewed ties with its illustrious past—its stage not only launched Mistinguett’s career in 1895, but also served as a backdrop for Josephine Baker’s banana dance—and celebrated with a modern twist on a dancehall revue. 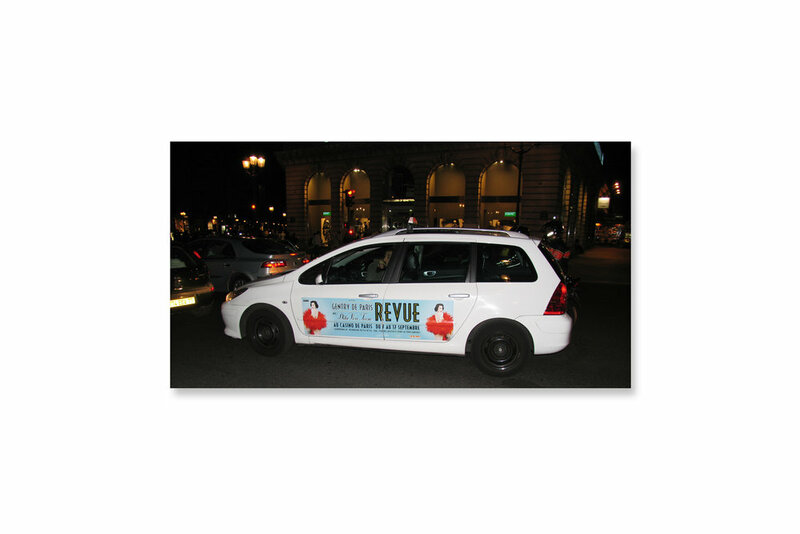 Because the campaign required assets in tremendously different sizes, from handbills to posters to taxi vinyl to a composite advertisement for Paris métro stations, we designed a flexible branding system that relied more on color and typography than on photography. As comely as she is, not even Dita Von Teese can make 60 dpi look good.